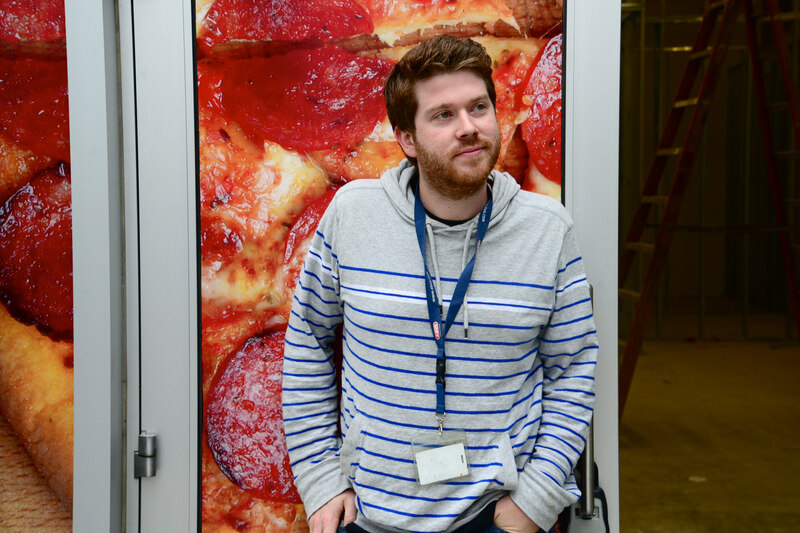 An employment opportunity brought Matt Smith (above), a 30-year old business-development manager, to the Washington D.C. area from Shrewsbury, Pennsylvania in 2009. Smith’s appreciation for transit is aligned with those of his peers, as furthered in yet another new study, this one from the U.S. Public Interest Research Group (USPIRG) and the Frontier Group, linking Millennials with changing attitudes and habits around the automobile. Millennials in Motion was released this month and finds that Millennials are driving less than any prior generation. It also suggests that this generation (people born between 1983 and 2000) is acquiring driving habits that may be more permanent than previously believed. more likely to live in walkable, urban places with good transportation options. 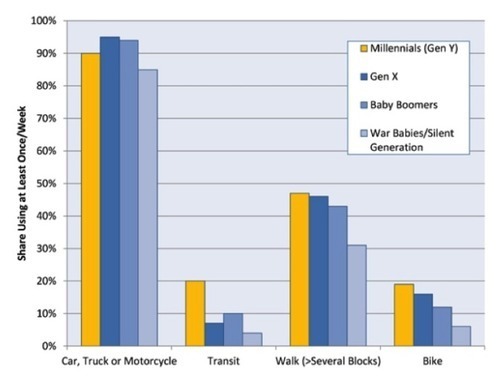 a report from the American Public Transportation Association indicating that Millennials prefer walkable, multimodal, urban places. Nobody any longer debates that Millennials’ driving habits are different than prior generations. What has remained unclear is whether these habits are temporary – due to matters of personal economics, the United States’ recent recession, or life stage, for instance – or will be more lasting. If the latter is true, then the policy implications are vast, not only for automobile manufacturers, but for cities intent on attracting this generation. USPIRG’s report is a follow-up to a report the organization performed two years ago. The persistence over this time frame of Millennials’ attitudes and habits surrounding the automobile suggests the generation’s habits may be solidifying. It will probably take years to determine whether Millennials’ relationship with the automobile is fundamentally different than other generations. For the time being at least, Millennials are driving less, and this trend has not abated. Arlington, Virginia is an example of a place benefitting with Millennials from its richness of transportation options. According to the most recent U.S. Census numbers, 28 percent of Arlington is composed of 25- to 34-year-olds. The Rosslyn-Ballston corridor is ground zero for the age group, with the highest proportion of Millennials (nearly 44 percent) in the country, according to Redfin. Arlington doesn’t just benefit from the transit present in the county, but from the robust practice of transportation demand management (TDM), which wrings more efficiency out of the existing transportation network. Arlington’s TDM agency, Arlington County Commuter Services (ACCS), played a significant role in, among many other things, the creation of Capital Bikeshare. Splash photo by Helena Lopes on Pexels. Story photo by M.V. Jantzen on Flickr. How to Combat “Bikelash”? Embrace it.